Wednesday was a very musical day for me, fitting considering the music festival was just getting into full swing. The day started with The 78 Project and closed out with Jimi: All Is By My Side, a biopic of Jimi Hendrix that wasn’t allowed to use any of the famed guitarist’s own songs. The movie gets away with it by showing Hendrix on his rise to stardom, meaning they can use covers of other bands and what I assume are some public domain songs. There’s Hendrix’s signature capability on the guitar in full effect, but it’s on others’ songs. The movie also tries to justify the use of others’ songs by making Jimi’s struggle to make his “own” music – that is, music that is true to himself and not confined by genre boundaries or the expectations of others – a central theme. All Is By My Side feels very reminiscent of other musician biopics from a few years ago like Ray and Walk the Line, albeit without the lifelong focus, but the sense that Hendrix is going somewhere, he’s just not sure where or how to get there, still exists. Throughout the movie, people are constantly trying to put Hendrix in boxes, whether musical, social, racial, or geographical, and it’s something he vehemently resists. In terms of overall quality, All Is By My Side is good, but isn’t quite up to the standard set by either Ray or Walk the Line, which might be a little as expected. John Ridley just won an Academy Award for writing 12 Years A Slave, but this is the first feature he’s directed since 1997, and the rust is there on the edges. 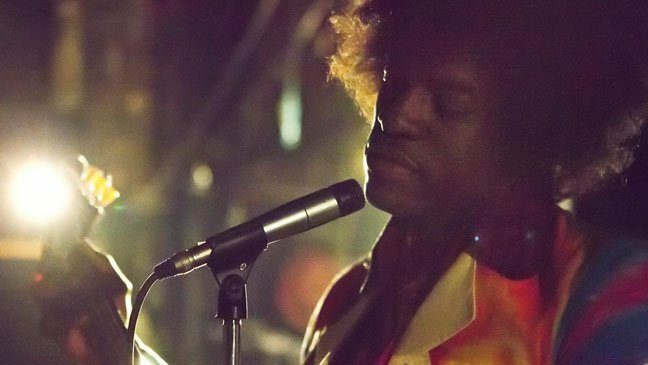 Andre Benjamin (aka OutKast member Andre 3000) does a quality turn as Hendrix, but it’s clear he’s still refining his acting instincts. All Is By My Side is certainly a watchable film, and makes compelling use of the music it does feature. There’s a hilarious scene where Hendrix plays an embarrassed Eric Clapton off the stage. “Is he really that good?” asks the befuddled Clapton. Another has Hendrix teaching his band “Sergeant Pepper’s Lonely Hearts Club Band” minutes before a show is supposed to start – with the Beatles in the audience. But it does feel a little held back by the fact that the entire feature must muddle through Hendrix’s early years rather than taking him through to true stardom.